Fling the teacher is a fifteen question quiz where correct answers construct a trebuchet, with a teacher loaded inside. It works well as a revision game at the end of the topic. 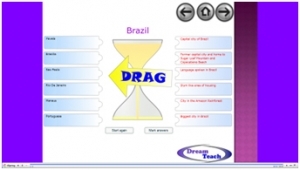 This basketball style game is a 1 or 2 player quiz, with Brazil themed questions. 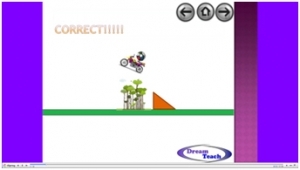 There is also a time challenge game. 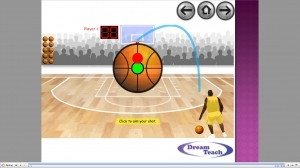 Ideal for ending a lesson or recapping a previous lesson. This is a simple quiz with a difference. Get your question right and the Earth survives, get it wrong and disaster looms!! (Make sure that you wait for the next question link to appear each time). Pupils simply drag the country labels onto the countires that they think they belong to. 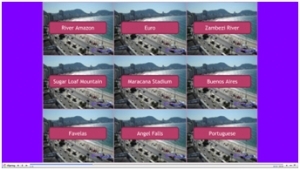 A great way to introduce or recap map work connected with Brazil or South America. This game sees a map of South America with one country shaded and four possible answers. Pupils have to decide which country is which. 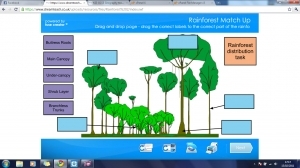 These activities focus on the features and animals found in the rainforest. The mark, feedback and back buttons all work at the bottom. The first page must be attempted to be able to click onto the second page.